I appreciate the position of some readers of this column who felt I should respond to the latest piece by Adamu Adamu Re: Hajj and the Saudis. To my mind, the writer has failed to address any of the issues I raised in my ample rejoinder concerning his three part series on the subject matter. What he succeeded in doing, our respected readers can discern, was to expose the source of his aspersion against the Saudi Hajj authorities – non-Muslim writers and other armchair critics, and even zanaadiqah who have not performed a single Hajj in their life, or the last time they took part in the ritual was decades ago. Hence, Adamu Adamu does not deserve another response. But I take a solemn oath of prompt response to any piece of shi’atic disposition clothed in the raiment of intellectualism! Transcorp Hilton was the venue for the official launch, on Thursday 22, November 2012, ‘of Tony Blair Faith Foundation-led work in Nigeria to encourage reconciliation between Christian and Muslim communities.’ In attendance were: Mr Tony Blair, Founder and Patron of the Foundation, Bishop Justin Welby, Archbishop of Canterbury Designate, and His Royal Highness Prince Ghazi bin Muhammad of Jordan via video-message. Also present were President Goodluck Jonathan, represented by the Minister of Housing, Ms Pepple, His Eminence Muhammad Sa'ad Abubakar III, Sultan of Sokoto, His Royal Highness, Estu Nupe, Alhaji Yahaya Abubakar, Most Reverend Josiah Idowu-Fearon, the Anglican Archbishop of the Province of Kaduna and Pastor Ayo Oritsejafor, President, Christian Association of Nigeria among others. On his video-message played during the launch, His Royal Highness Prince Ghazi bin Muhammad of Jordan said that Nigeria is the best and happiest country in the world, thus all should work towards making it peaceful. He spoke about the visit of the World Council of Churches and The Royal Jordanian Aal al-Bayt Institute for Islamic Thought to Nigeria, between 22nd–26th May 2012 (1st-5th Rajab, 1433 AH). The visit was proposed in reaction to the numerous incidents of fierce inter-communal strife which have affected the lives of Nigerians during 2000-2012, and the awareness that—at least since the Bosnian war of 1993-1995—Nigeria is the country in the world where the most severe inter-communal violence between Christians and Muslims has been experienced. The delegation sought to understand the reasons behind this violence. The objectives of the visit were to: (a) fact-find and investigate first-hand, impartially and credibly, the situation on the ground in Nigeria, and the various factors that have led to the present tensions; (b) express clearly to both the political and religious leadership in Nigeria the concern and anxiety of the international community about the current situation; (c) demonstrate an international model of Muslims and Christians working together in an inter-religious engagement aimed at fostering peace and harmony between people of different religions; (d) identify areas or projects where religious institutes, persons, texts, or messages can help ameliorate the situation in Nigeria. According to His Royal Highness, Prince Ghazi, every religious text could be quoted out of context to justify violence and killing of innocents, heinous acts not sanctioned by any divine authority. Next to speak was Mr Tony Blair, Founder and Patron of the Foundation. When you listen to Mr Blair any time, he reminds you of the saying of the Prophet Muhammad (peace be upon him), that ‘there is an element of wizardry in oratory.’ Mr Blair is indeed a wizard in the art of public speaking and elucidation and clear exposition of his opinion on any matter. If you get carried away listening to Mr Blair, you shall be carried away! Through this element of wizardry in Mr Blair’s oratory truth could be seen as falsehood and vice-versa, it all depends on what side he chooses to support. Is there any wonder then how the United Nations was rendered useless, the world confused, and many a rational voce muted at the face of well-articulated presentation of a false dossier on Iraq’s possession of WMDs? Mr Tony Blair started by stating his desire of being an oft-repeated visitor to Nigeria, to come here 75 times just as Bishop Welby had done. 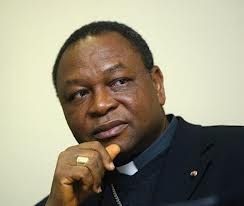 Because, according to him, ‘Nigeria is the most unique country in the world, it astonishes, astounds me.’ He went further to support Bishop Welby’s assertion of Nigerians being the ones to solve their own issues. ‘The problems of Nigerian,’ he said, ‘would be sorted out by Nigerians…. 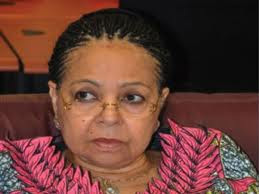 President Goodluck Jonathan’s address was read by his representative, the Minister of Housing, Ms Ama Pepple. ‘I commend you’, said the President, ‘for this singular and timely joint initiative. The idea is not only creative; it is also consistent with our effort to promote inter-religious dialogue and harmony. ‘Our country, Nigeria, is blessed by God with two of the world’s great religions who honour Him in their different ways. For generations, the two religions have coexisted and their proponents have lived side by side in peace and harmony knowing that both religions expose the universal values of peace, freedom, human rights, dignity and the oneness of humanity. ‘Our young people can easily be seduced by false prophets who take them to the path of violence and hatred. It is very important that religion is neither misused nor abused to justify violence. ‘Inter religious dialogue is already playing an important role in our society. The Federal Government continues to promote religious harmony by constantly engaging the Nigeria Inter-Religious Council, jointly chaired by the President of the Christian Association of Nigeria and the Sultan of Sokoto. While progress on this front is satisfactory, it must be pointed out that some of the religious tensions in the country are politically motivated. After listening to the President’s speech, I kept wondering what he actually meant by ‘satisfactory’ in Government’s engagement with the Nigeria Inter-Religious Council (NIREC) ‘to promote religious harmony’. Can there be ‘satisfactory’ interfaith ‘harmony’ under the current leadership of CAN? Other inter-religious efforts are succeeding with many Christian-Muslim peace initiatives in many parts of this country. Christian leaders like Most Reverend Josiah Idowu-Fearon, the Anglican Archbishop of the Province of Kaduna and John Cardinal Onaiyekan are doing a lot towards Christian-Muslim mutual understanding. 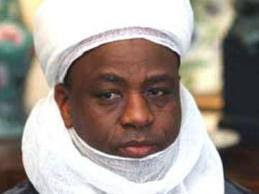 The recent nomination for 2012 Nobel Peace Prize award of Cardinal John Onaiyekan and His Eminence, the Sultan of Sokoto is enough to buttress the point that the incompatibility in NIREC’s co-chairmanship is not concealed to the world. The normal thing was for the nomination of the peace award to encompass the current President of CAN, and His Eminence, the Sultan. 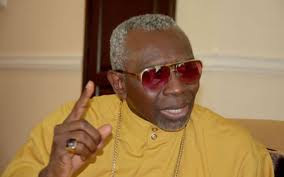 But the nomination committee was diligent enough to recommend real peace makers for the award; hence it disregarded NIREC joint chairmanship and settled for a former President of CAN (John Onaiyekan) rather than the current (Pastor Ayo Oritsejafor)! The above sentiment was shared by LEADERSHIP Board of Editors and its top management as it ‘voted Sultan Muhammad Sa’ad Abubakar III, Sultan of Sokoto, and John Cardinal Olorunfemi Onaiyekan, Archbishop of the Catholic Diocese of Abuja, as LEADERSHIP Persons of the Year 2012.’ On the front page of its Monday, December 3, 2012 edition, LEADERSHIP wrote: ‘In a year when religious turmoil deteriorated to a frighteningly new level and a number of religious leaders lost their heads, Sultan Abubakar III and John Cardinal Onaiyekan emerged as powerful moderating voices that fundamentally prevented the country from toppling over. By their words, actions, gestures and comportment, they reminded us of what leadership really means. For deploying their voices of restraint at crucial moments to keep the country’s fragile peace, these soldiers of faith are LEADERSHIP Persons of the Year 2012.’ Though he is the current co-chair of NIREC and President of CAN, Pastor Ayo Oritsejafor did not have the honour of either the nomination for 2012 Nobel Peace Prize or LEADERSHIP Persons of the Year 2012 award! Tony Blair Faith Foundation meeting. ‘We must talk;’ he commenced, ‘but what I’ve always said is, I believe in the progressive dialogue. Dialogue where we can set goals, timelines; we can look at the things we want to achieve and be able to say, within this time we can achieve this, we can achieve that. Honestly, to find great people coming from around the world to support us in this, is incredible. 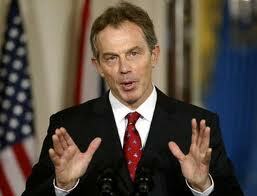 I want to thank you, Mr Tony Blair, for this move. May God do for you what you cannot do for yourself. ‘Nigeria is a great nation, but greatness can only come out when there is understanding, there is oneness, and we are focused on the same thing. Because as at now it’s like the greatness is being swallowed up by distractions. A lot of things are taking us away from what we ought to concentrate on…. ‘The way forward is with us. And I’m sure; I’m convinced that we will get there. I’m convinced that there is no religion that encourages violence. (This is the first time I’ve heard him speak of this conviction). I know that for a start, myself and my co-chair, we have understanding. (Really? I wonder). But it is how we can take this to everybody else, and I’m sure, by the Grace of God, we will be there. The Sultan also spoke about a similar programme, two years ago, in Mina, Niger State, where 250 Christian and Muslim youth were brought together in a conference. His Eminence said: ‘We are trying to stage a second one.’ What is most important according to the Sultan is to disseminate the proceedings of meetings ‘as the one we are having this morning to a larger audience. It not enough for me and my co-chair to understand one another, but as he said, and I concur, we have to take this message down to those we lead. And we have to do that with all sincerity, with all honesty, believing in our religions as being the religions of peace, understanding one another, and not fighting one another. During question time I made the following comment and asked two questions: ‘Mr Chairman,’ I began, ‘my name is Abubakr Siddeeq. I hope Bishop Justin Welby, Archbishop of Canterbury Designate, will call to mind our long trip to Niger, Yobe, Maiduguri, Kano and Zamfara states, which we (I and Imam Sani Isah of Waff Road Mosque, Kaduna) undertook with a team that he (Bishop Welby) led from the Coventry Cathedral with the purpose of learning, first-hand, reasons for religious crises in Nigeria, and how to bring all the contending parties to participate in an international peace conference to be convened in Nigeria under the auspices of the International Centre for Reconciliation. ‘I’m happy His Royal Highness, Estu Nupe, Alhaji Yahaya Abubakar is here. Let me remind Bishop Welby of Darul Islam, a peaceful community in the outskirts of Niger state that hosted us during our fact-finding trip, and allowed us to dialogue with its members in their mosque. It will interest the Archbishop of Canterbury Designate to know that the peaceful community he visited no longer exist today. It has been wiped out, its men, women and children banished and their dwellings levelled to the ground. ‘I will end with these questions: I want to know from Bishop Welby what happened to the report written by his team after our trip. Either that report was never studied by the recipients or the addressees have refused to do the right thing. 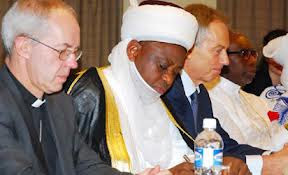 If since 2004 a report was submitted by a team of experts headed by the current Archbishop of Canterbury Designate, on a way forward in tackling religious crises in Nigeria, at a time when Taliban had not yet transmuted to Boko Haram, then somebody has not been doing their job. 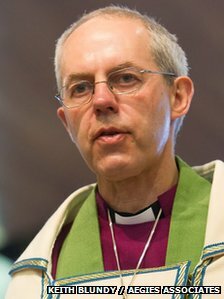 Bishop Welby, you have done a lot for peace in Nigeria, apart from your incessant visits, you even threw caution to the wind when you and members of your team stayed for three days and three nights between Yobe and Maiduguri trying to make members of the Taliban, now Boko Haram key into the idea of the international peace conference. I would not go into how your proposed conference was killed at NIREC level through the influence of the then head of the Aso Villa Chapel. But the point has been made: you’ve been talking; your audience was not listening, or members of that audience chose to do nothing. Unfortunately, I did not get any meaningful response from both Mr Blair and Bishop Welby, as they understandably chose to tread carefully due to the sensitive nature of the issues raised in my comment and questions. I was however pleased with the fact that the message was conveyed; Bishop Welby was visibly troubled when I mentioned the banishment by the Niger state government of the Darul Islam peaceful community. Darul Islam was more than a mere group; it was a community on the outskirts of Niger State. This was a peace-loving community. Members of the LOC for the Peaceful Coexistence Conference of the Coventry Cathedral were welcomed; with a few introductory remarks to the leader of Darul Islam on the purpose of our visit, we (Muslims and Christians) were ushered into the masjid (mosque) without discrimination. I want to see another group of Muslims in this country that will admit Christian clergy into its mosque for the purposes of dialogue and interfaith discourse! I am saying this because whenever we take Christian (foreign) visitors for the tour of the National Mosque the ignorant among the people would look at us with disapproval, and suspicion.